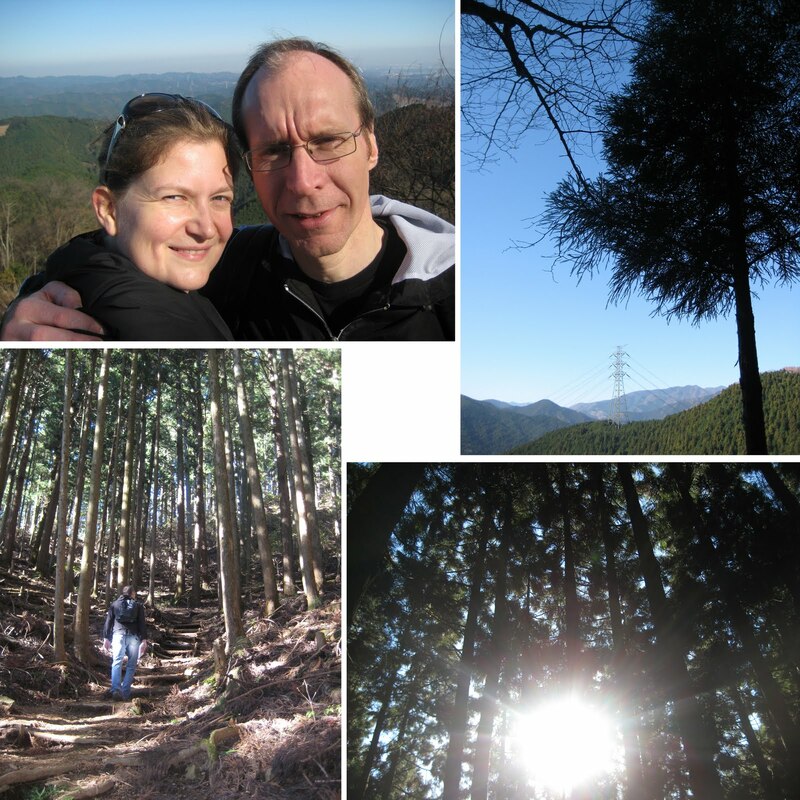 We realised that we hadn't been out of the city for ages, so yesterday we headed out to Mitake, which is about an hour by train out of the city. It is a beautiful area and somewhere that we have been a few times before, but we decided to take a different route this time, that took us over three summits. Luckily we didn't quite realise how steep they were going to be, as I have a feeling we wouldn't have tried it if we'd known, but it was a truly stunning day - clean, fresh air and bright blue skies - and it was so refreshing being surrounded by the tall, proud cedar trees that flank the mountain. We stopped for lunch at the top of the first summit and tucked into a bento box lunch that we'd bought outside the station and it was perfect. I have to say, our legs were a bit wobbly as we made our way home and we must have been a sight on the train with our ruddy faces and lolling heads as we crashed out in the warmth of the train.